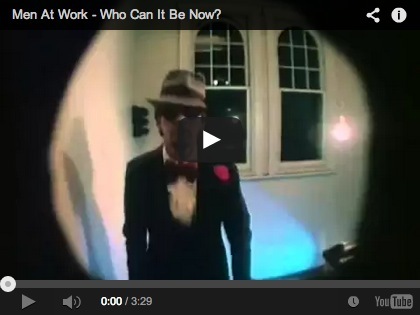 In 1981 Men at Work released, “Who Can It Be Now,” which I will argue is the world’s best ringtone and worst music video. Terrible video notwithstanding, I am a huge proponent of listening to this song while analyzing Google Analytics reports. One, it’s extremely “toe-tappy,” and two, it subtly drives home the need to answer the question, “Who?" Yes, Google Analytics does not report personally identifiable information, nor does it allow you to upload this data. However, there are a variety of opportunities to create generalized profiles for segments of your traffic, which can then be used to understand who is coming to your site and why. In this post, we’ll dive into the different profiling dimensions available, when and where to apply them, and what can be done with the information. Google Analytics offers a variety of dimensions (and metrics) that not only tell you from where someone arrived, but also a little about who they are, their interests, browser settings and activities on your site. Demographics: Information is derived from browser data, Google Profiles and data shared with Google by third-party sites (i.e. social networks). Interests: Collected using the main topics and themes from the pages a person visits across the Google Partner network and third-party data. Affinity Categories*: Identifies users on a very broad scale, in terms of lifestyle. For example: sports fan, cookie enthusiast or technophile. In-Market Categories*: Identifies groups of users who are in the market for a specific product category (due to the specific nature of this dimension, it may not always be available). Other Categories*: Used to classify groups of users based on the specific content they consume, along with how recently and frequently they consume that content. Language: Reports what language your users speak. 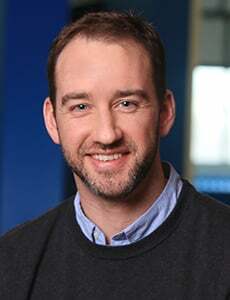 This data is derived from the browser locale. Location: Defines the country, region, state, city and other location details from which traffic originated, and is derived from mapping IP addresses. Time: Reports when the visitor arrived to the site; specifically, week of the year, day of the week, hour of the day, and more. New vs. Returning: The ratio of new to returning users, which can be broken down by the number of sessions or as a percentage. Device: Breakdown of what devices people use to access your site, including device type, brand, service provider and operating system. Likelihood to Convert (metric): Look at Goal metrics to determine how likely a traffic profile is to take a desired action. Conversion Preference (metric): If you’ve got call tracking or live chat integrated with your Google Analytics account, compare whether these visitors prefer to contact you via form, chat window or phone. Custom Dimensions: With Universal Analytics, create your own dimensions that can be used to help further profile traffic segments. ... Knocking At My Door? To take a deep dive into the personas and preferences of your site’s traffic, apply each of the above dimensions to the traffic segment you’re evaluating. In many cases, you’ll select the profile dimension as the “Secondary Dimension” in a report, as the traffic segment you’re analyzing will itself be a dimension. Look for situations where there is a clearly defined winner, or couple winners. For example, if your two top age demographics are 25-34 (50%) and 35-44 (30%), you can combine them to say 80% of traffic is between the ages of 25-44. In cases where there is no clear winner, simply state that the audience is split or varies, as this type of detail can also be valuable. The end result is a general profile for a specific traffic segment from which you can draw and test conclusions. Or to sum it up in a couple sentences: In general, PR 20/20’s Twitter traffic is young-to-middle-aged U.S. males interested in technology. They are new to the site, arriving mainly via iPhones, but are a fairly unqualified audience as very few take any desired calls to action. ... Go Away. Don’t Come Round Here No More. 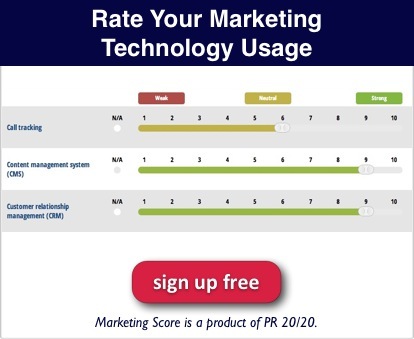 Establish audience benchmarks—Who is coming to the site now, and how does this traffic change over time with your marketing efforts? Align expectations with existing traffic—How does existing traffic correlate with targeted buyer personas? Are personas already coming to the site or are campaigns needed to attract them? Test assumptions—Does a marketing channel really drive the audiences you presumed it would? Uncover new, qualified target audiences—Are specific traffic segments or audience profiles converting at a higher rate than anticipated? Should strategies be adjusted to take greater advantage of this group? Further refine existing target audiences—Can Google Analytics profile data supplement or further define existing buyer persona profiles? Refine brand and product messaging—Can keywords and calls to action be adjusted to better align with audience interests? Put fluctuations into perspective—Is that huge traffic spike or double-digit quarter-over-quarter growth from targeted buyer personas, or an audience irrelevant to your business? If you’re noticing one certain profile, or specific aspects of a profile, popping up across different traffic segments, consider creating a Segment that only includes these users. With this Segment turned on, you can filter out everyone but these visitors to see how they are interacting with your entire website. Use Analytics reports to identify relevant sources, flag effective content topics and formats, and key in on what triggers them to convert. Make the most out of all the information provided by Google Analytics. The more insight into who and what drives traffic and conversions, the bigger the opportunity to improve your marketing campaigns and ROI. Is “Who Can It Be Now?” playing on repeat in your head right now? Let us know in the comments.